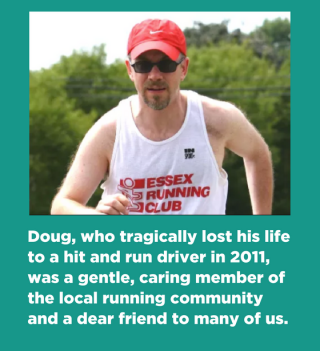 In honor of Doug's upcoming 56th birthday on May 22nd we mapped out route options from 1 mile to 7 1/2 miles which will lead runners past several significant landmarks (Montclair High School, Doug's home on Stanford Place, Doug's memorial bench in Brookdale Park) in remembrance of Doug. 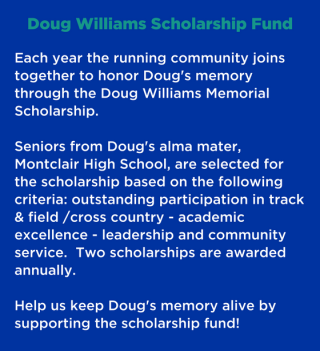 All routes will start and finish at Fleet Feet Montclair. Maps and directions will be provided on event day. Or, check out the online map.